I recently was helping a professional quilter to figure out what to charge for a start-to-finish T-Shirt quilt. Together we did a cost analysis and it was very enlightening! Then in an online group, someone else asked how to charge for making the same kind of T-Shirt quilt. This quilt is to be made using 15 T-Shirts, cut to 12 inches square – 3 shirts across, 5 shirts down in a traditional horizontal setting – with 2 inch sashing and 4 inch, straight set borders. The approximate finished size of the quilt is 52 x 80 inches. Binding, 22 running /perimeter feet at $3 per foot = $66. Yes, I know that this is high, but there can be ALL sorts of problems quilting on T shirts, even if you do all the piecing. I have made T shirt quilts and there can be a LOT of time involved even with “simple” piecing. The piecing total would be $281. Add the quilting total ($321) with the piecing total ($281) for a grand total of $602. For simplicity, let’s round that to $600. This would be the MINIMUM I would charge for this quilt. Now, lets take $600 divide it by 15 T shirts used in this quilt, for a total of $40 per T shirt. Let’s take this one step further. Let’s assume that you customer is not satisfied with 12 inch blocks in a traditional horizontal setting. She wants something “different” and you have to come up with a unique setting and work with MANY different sizes of T-Shirt logos, etc. I would start at a price of $40 per T-Shirt then ADD A LOT of extra $$$. How much is a LOT EXTRA?? Only you can answer that question, but I would at least DOUBLE what I have priced in the traditional setting. I would charge at least $1,200 for this type of quilt. If there was extra supplies / fabric / interfacing, etc., then this price would also increase. Here is something else to remember. Be sure to receive at least HALF of the amount you are charging – which is non-refundable – when the order is placed. You have to purchase supplies and your time is valuable! 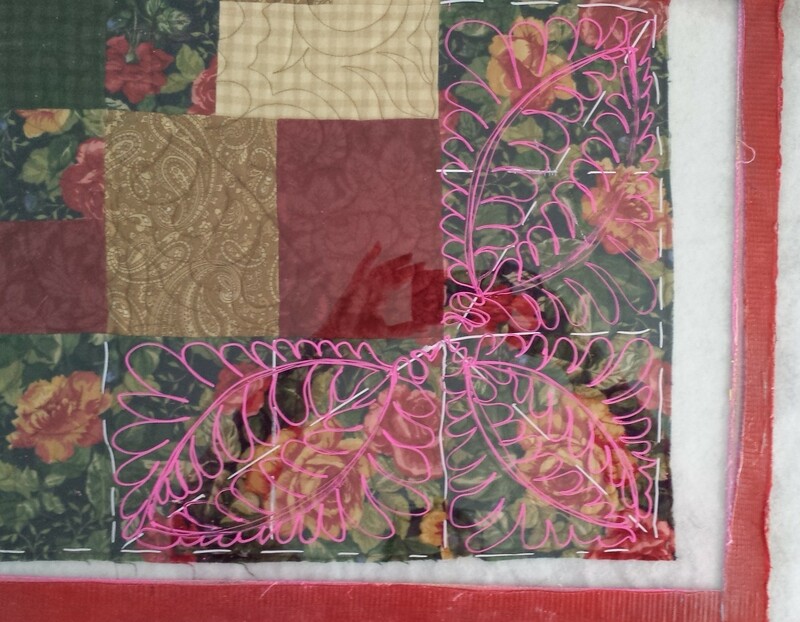 When the quilt top is ready to be put on the quilting machine, another one quarter or the cost is required and when the quilt is completed, the remainder of the fee is to be paid. Be sure to document EVERYTHING about this custom order, from start to finish! Let’s face it, making a quilt from start to finish can be a lot of fun, but it is our WORK! We should be paid a reasonable fee for our time and our skills to make a special, unique, one of a kind quilt that is going to last a long, long, time!